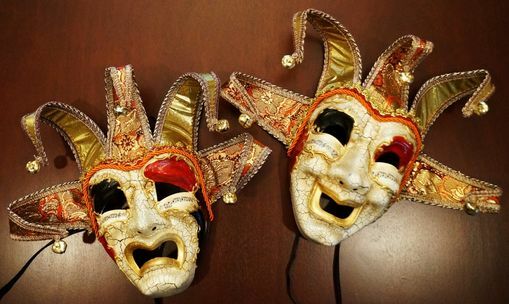 Hand painted comedy and tragedy masks come as a set of two. Use as wall decor or wear to a masquerade event. Comes with black ribbon ties. Did you know that PartyOasis.com actually carries over 500 styles of masquerade masks? We have everything from full face masks to feather masquerade masks: Masquerade Party Masks.